Historically-styled spaces are not only sentimental and inviting, they can also add to the overall appeal of your downtown or other location. Historic-themed streetscapes are a common example, and often feature old brick buildings, cobblestone streets, train tracks, and Victorian courthouse architecture. This style can be accessorized with historic lampposts, awnings over storefronts, mature trees, and, of course, site furniture. 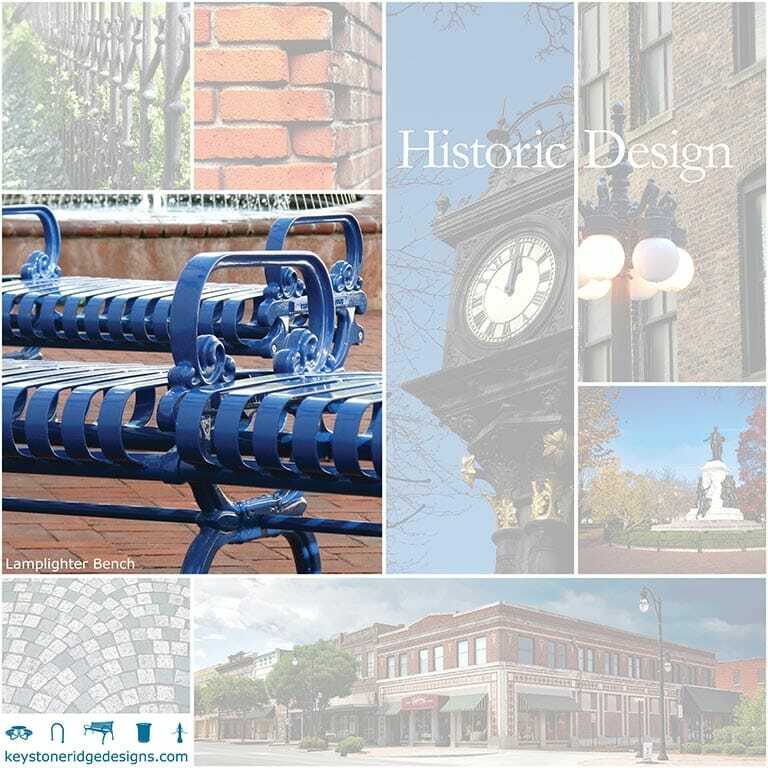 A bench with a modern design may look out of place on a historic streetscape, and can detract from the nostalgic atmosphere created by the other aspects of your site. However, a charming and timeless bench will perfectly complement a historic-style environment. With its Victorian appeal and traditional design, our Lamplighter bench is a popular choice for main-streets and downtown public spaces. Projects with a classic style often utilize symmetry and simple geometric patterns to create balanced, practical environments. Common elements include concrete, grassy space, and plenty of trees. 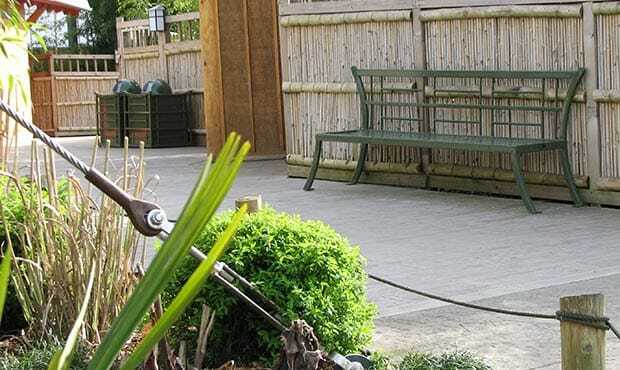 Complete this look with a bench that offers simplicity, versatility, and functionality in any space, from parks to universities, shopping centers, and more. 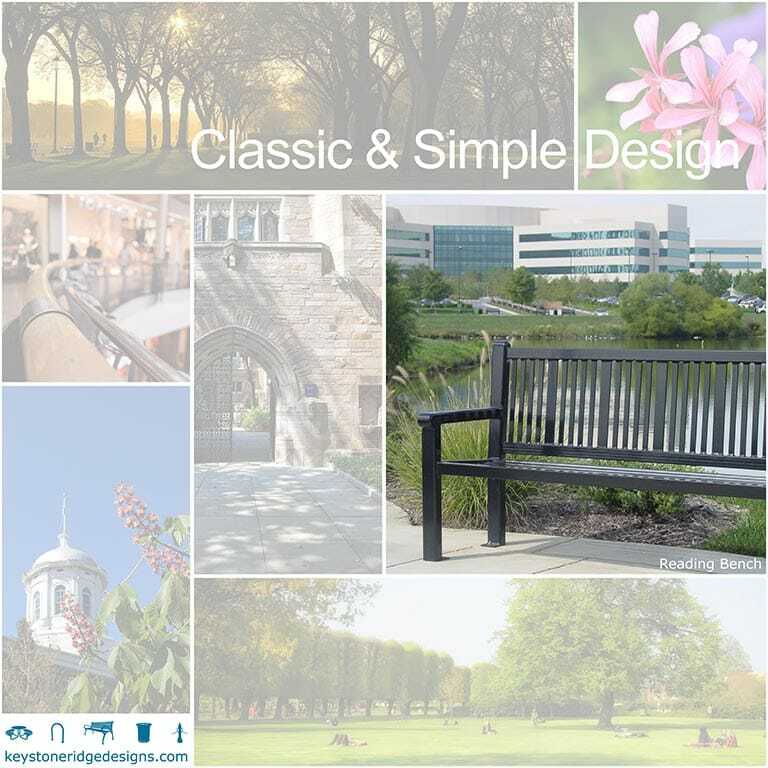 Our collection features several classic and simple benches that fit seamlessly into a variety of settings and are compatible with many architectural styles. Two commonly-purchased options include the Pullman and Reading benches. Another trend that is fashionable among today’s architects is modern designs in public spaces. 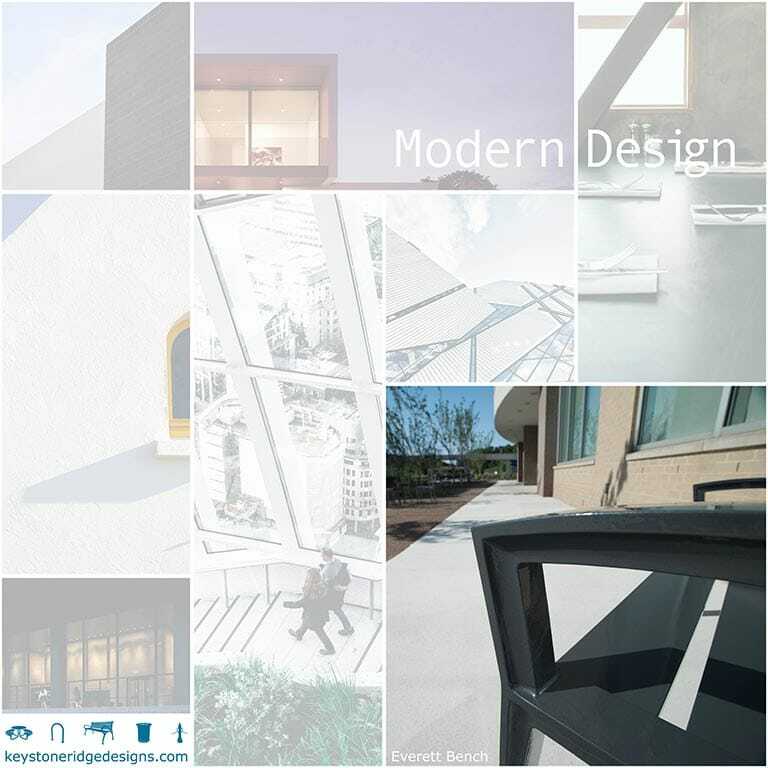 Relying heavily on glass and steel as building materials, modern designers tend to eliminate unnecessary clutter and adhere to the "Less is More" principle of the minimalist movement. Add the finishing touches to this architectural style by showcasing bold linear elements, contemporary lighting, landscape pavers, and by selecting site furniture that ensures that the style is uniform throughout your space. We offer several bench options that cater to modern design. Our Schenley series exudes sophistication, and its sleek design makes a statement without sacrificing functionality. The clean lines and durable construction of our brand-new Everett series make it another great option to incorporate into modern-style architecture, along with our Volant, Plaza, and Stanza benches. Many clients come to us looking to complement their unique design with equally imaginative accessories. Designing your space with an artistic style by combining nature with architecture can give it a distinctive identity while maintaining its functionality. This can be accomplished through the use of flower beds, gardens, and art, such as sculptures. Water features are also great additions, as they serve as attractive visual focal points where people can gather and enjoy your environment. If your space has an artistic flair, it’s important to maintain that creativity throughout the entirety of your property, site furniture included. 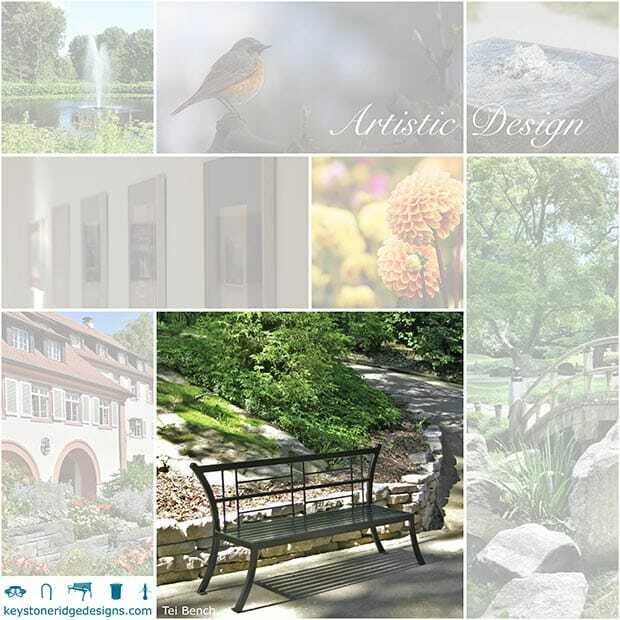 A uniquely designed bench can be the perfect addition to any artistic architectural endeavor. For example, our Tei and Dragonfly Series both incorporate elements from nature and blend beautifully into the landscape in which they are placed. While we may not be the best people to go to for fashion advice, we love helping clients find the perfect site furniture accessories for their unique style and space.